I have a redemption form that I want to enter a coupon code and then an order should be created automatically, then the coupon code applied to the order as well. 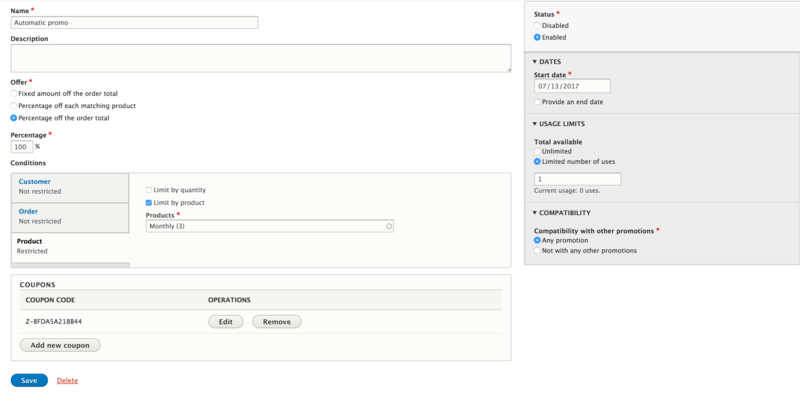 The order gets created successfully but $promotion->apply($order) does not work. As you can see in the image above, I have a promotion containing coupon code Z-8FDA5A218B44 . In the condition section, this promotion is limited to a product called Monthly. As you can see when I submit the redemption form with a coupon code, an order will be created, but I want to apply the coupon code to the order too. Hi I'm maybe TLTTP but it appears that your implementation is right (assuming as you say it passes the available and applies checks). The problem I think is that you're not saving the order after the promotion gets applied. 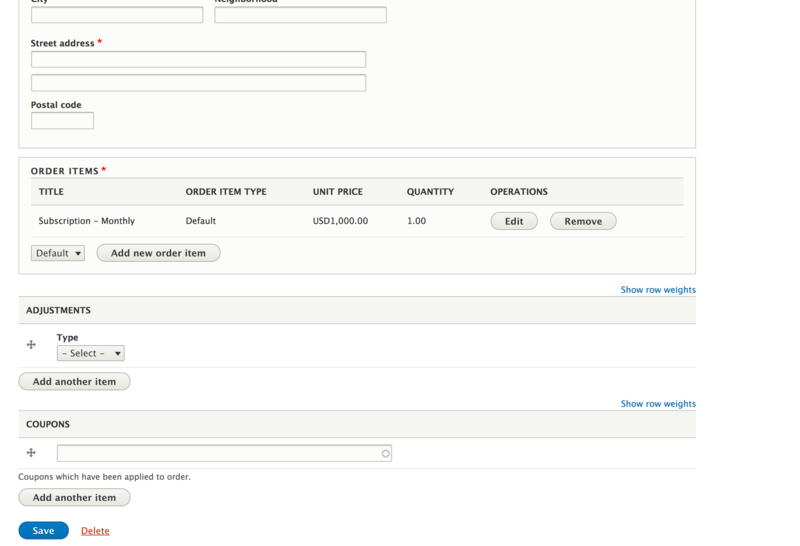 Also as @matt-glaman suggests you should refresh the order so the final price gets updated. // to the order or it's order items. // Persist any changes applied to the order. How to use current user object in Drupal 8?